Let your wild side show! 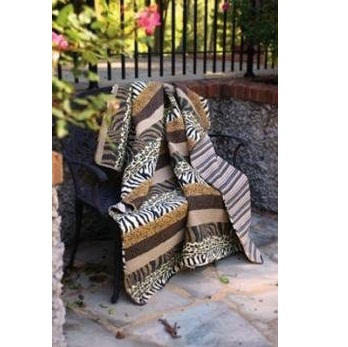 This 100% cotton animal print quilt is a blend of Zebra and Leopard patterns in nature’s neutral tones. The quilt is reversible to a coordinating stripe pattern. For more image details click “Buy Now”.